Situated on Carmarthen Street, just off Llandeilo’s high street, Chess is the town’s only men’s fashion boutique which was launched in 2013. 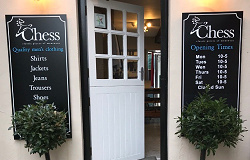 Chess Menswear Llandeilo has two floors of quality men’s clothing offering a large variety of shirts, jackets, shoes, jeans, knitwear, ties, accessories and much more. 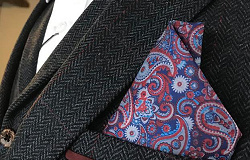 Stocking Farah, Remus Uomo, Guide London, Mish Mash, Corgi, Cavani, Bellfield, Ikon, Jack Carter, Tresanti as well as Venti shirts, Chess provides quality clothing and a personalised service in the heart of Llandeilo. Chess also has a stock ordering service on many items if they are not in the store, and offers free gift wrapping.